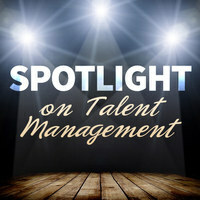 A Talent Manager is one who guides the career of artists in the entertainment business. The responsibility of the talent manager is to oversee the day to day business affairs of an artist; to advise and counsel talent about professional matters and personal decisions which may affect their career. As a writer that means that these are primarily the people that will be molding the careers of and controlling the opportunities for you to have access to tomorrow’s top tier talent. If you want to understand the process from the inside out, let this seminar give you the inside scoop on the trajectory of an actor, and learn skills to enhance your own career by understanding the way this business works from all sides. Selena is a manager at Marque Entertainment. She has been in the entertainment industry for well over a decade. Though she has worked in a variety of areas within the industry, the bulk of her years and experience years were spent with James Levy Management (where she worked with clients such as James Franco, Dave Franco, Mark Paul Gosselaar, Rachael Leigh Cook, Billy Miller, etc). In 2011, she started her own management company, Marque Entertainment, which has now been around for 3 years.